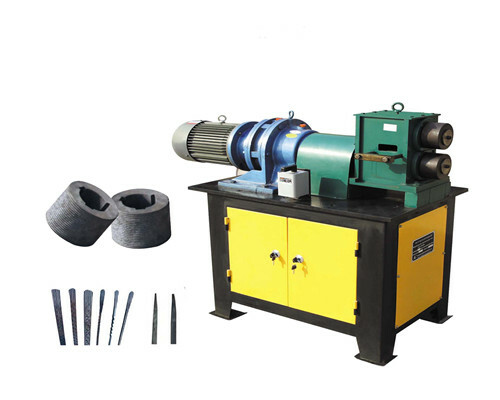 Wrought iron embossing machine is also called cold rolling embossing machine because we use it to process forging material in cold conditions. 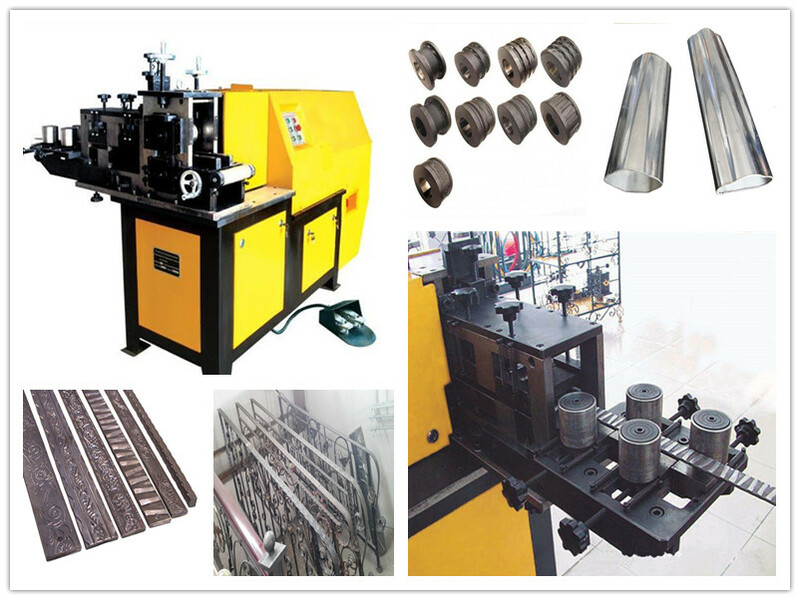 And this wrought iron machine can emboss and roll various texture lines on flat iron, square steel and square tube. Our Ellsen wrought iron metal embossing machine for sale has acquired great achievements in the field of wrought iron tools equipment since it came out to market. Ellsen rolling embossing machines have double driven shafts so as to emboss and texture two sides of the metal at once. 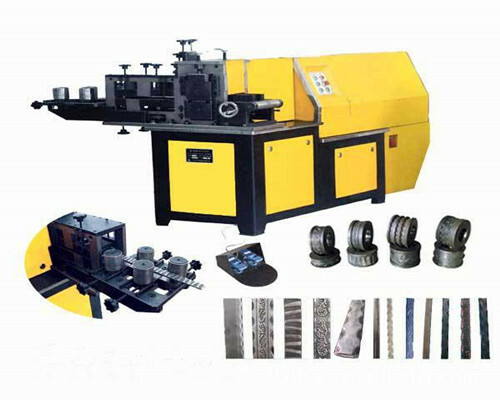 Ellsen not only produces embossing machines, but also manufactures wrought iron twisting machines, bending scrolls machines, etc. The speed of this wrought iron machine is not adjustable. The speed of this metal craft embossing machine is adjustable for it adopts new generation AMB-G7 frequency changer. Its speed is not adjustable but it has the ability of processing handrail tube. However, EL-DL60A and EL-DL60B not have this function. EL-DL100A adopts new generation AMB-G7 frequency changer and its speed is adjustable. The speed of EL-DL100B is fixed, but it can process handrail pipe for stair. EL-DL100C not only uses the AMB-G7 frequency changer but also process handrail pipe. 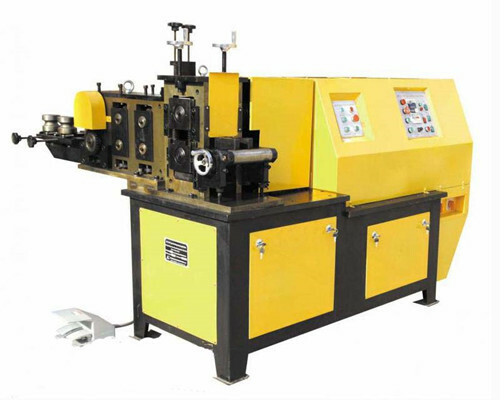 EL-DL100A/EL-DL100B/EL-DL100C cold rolling wrought iron embossing machinery has the same parameters. The work capacity of EL-DL100 series are stronger than EL-DL60 series metal craft embossing machines. 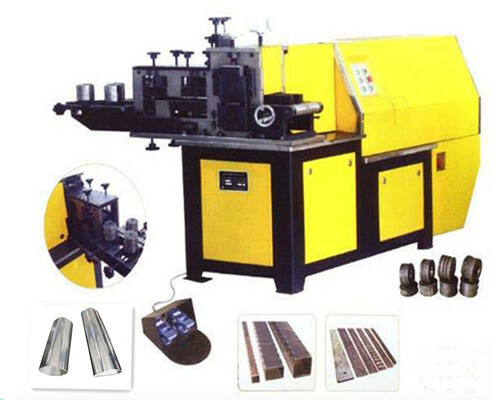 Our Ellsen cold rolling embossing machine is widely used to process common iron into advanced craftworks. 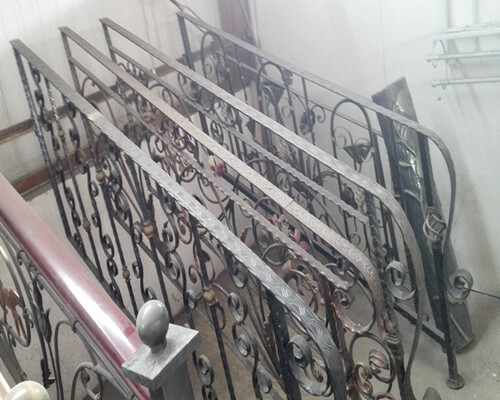 In fact, we could see these wrought iron products everywhere in daily life, such as wrought iron gates, wrought iron railings, wrought iron garden furniture, wrought iron furniture and wrought iron fences etc. 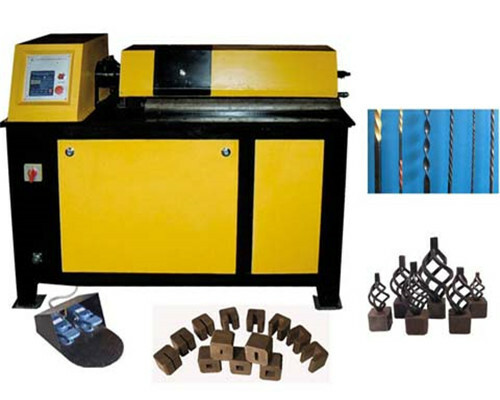 So wrought iron embossing machine is an indispensible wrought iron equipment in high graded craftwork market. 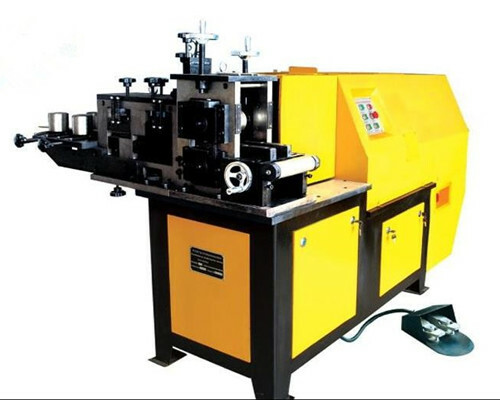 Besides, you could also find these cold rolling embossing machines in the metal craft products fabrication plants. 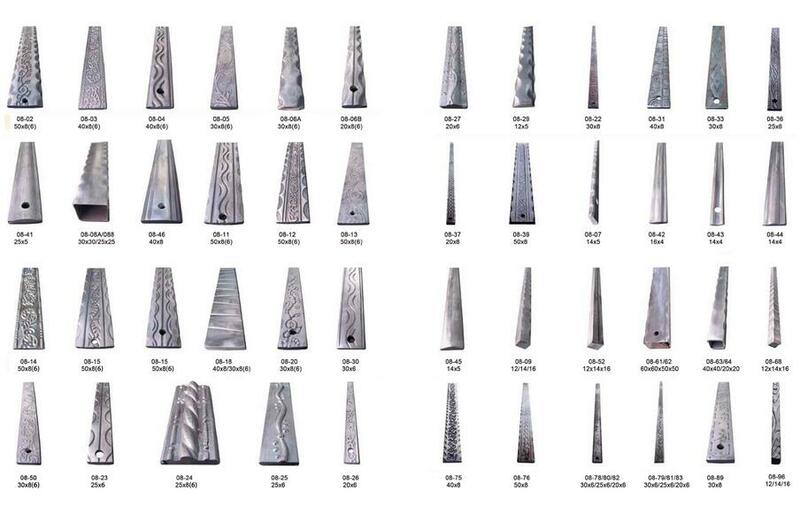 There are 160 kinds of wrought iron metal craft embossing machine dies for selection. We will send 15 kinds of dies incidentally, together with blacksmith metal craft embossing machine when clients purchase from our Ellsen. Furthermore, the dies can be replaced easily and rapidly. In order to offer better service for customers, our company is able to design and produce diverse dies according to customers’ ideals and patterns. 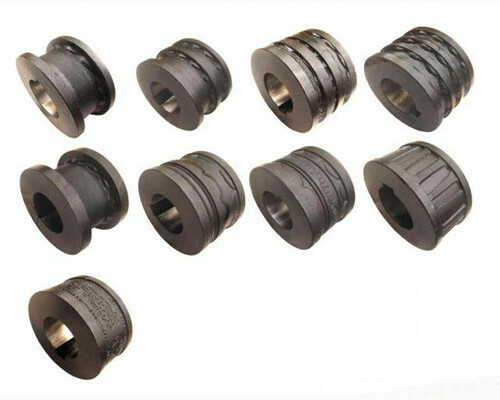 In general, we will send free 15 sets of embossing molds and other free 2 sets of handrail pipe molds. 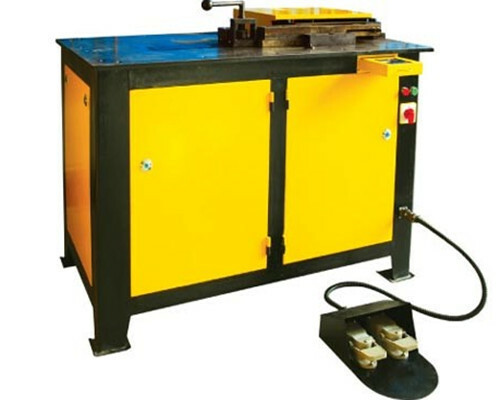 Metal craft coining machine has both manual control and foot pedal. Therefore it is safe and convenient. 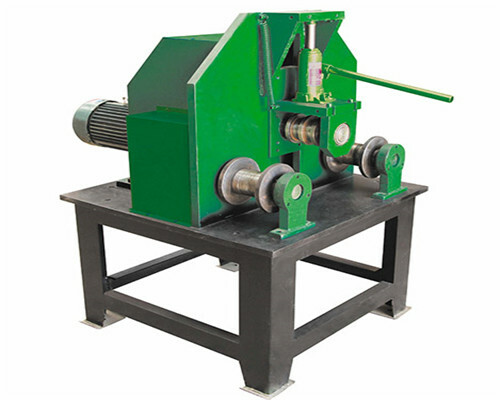 Our wrought iron metal embossing machine adopts two-speed gearbox and it is stable and reliable to work. 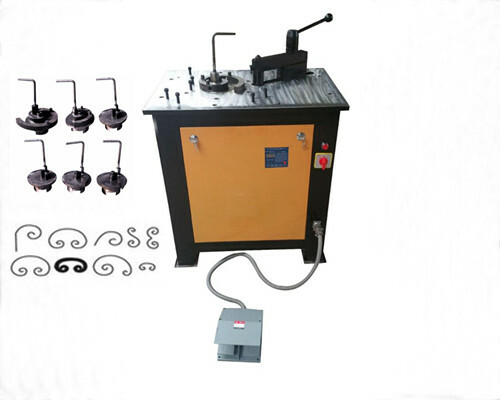 Metal craft embossing machine adopts leveling and straightening system to keep wrought iron products good consistency. 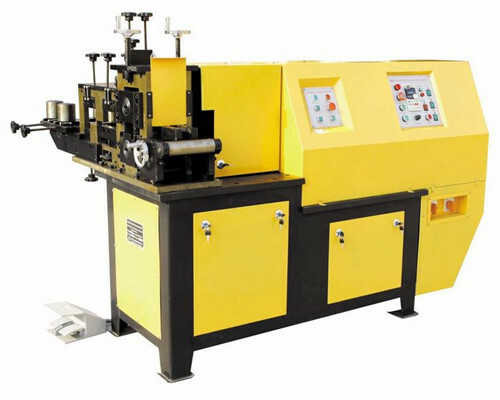 The metalcraft coining machine has high production efficiency. Our metal craft hydraulic embossing machines are durable in use. It is very safe and easy to operate our wrought iron equipment. There almost has no machine breakdown duo to Ellsen high quality metal craft tools. It is very easy to change the dies of our metal craft coining mill, also called metal craft embossing machine. 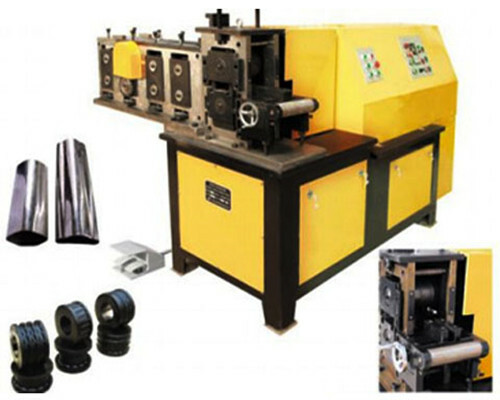 And it is convenient to maintain Ellsen cold rolling embossing machines for sale. 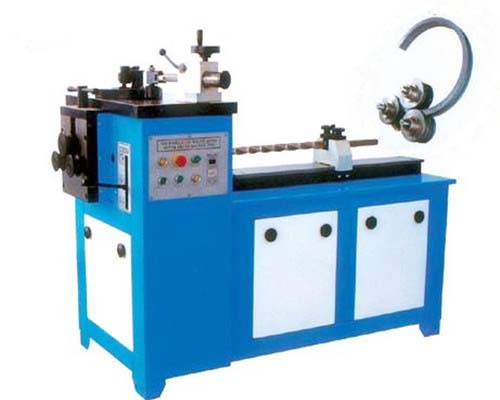 These metal craft machine have strong work capacity and save time and money. Ellsen wrought iron stamping machine adopts modern structure and advanced technique. We have a group of skillful engineers to ensure our cold rolling embossing machines good quality. 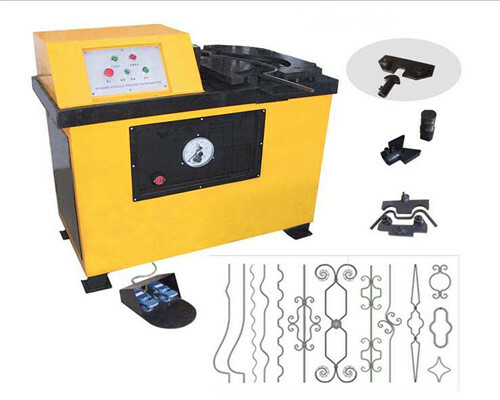 The speed of our wrought iron embossing machine is adjustable by speed button which is convenient to operate. Our metalcraft hydraulic embossing machine has reasonable machine function. And its speed is moderate during cold rolling. All these ensure that cold-rolled product lines clear and beautiful. As a leading metal craft coining mill manufacturer, we have 20 years experience in producing ornamental iron embossing machines. So far, our products have been sold to USA, Canada, Colombia, Australia, South Africa, Cameroon etc. 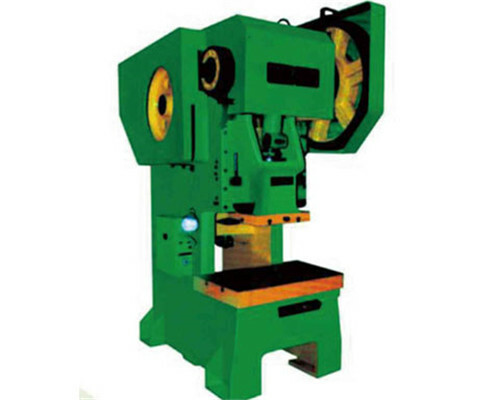 Our wrought iron hydraulic embossing machine price is very reasonable at the market. Please no hesitating to contact us for more information. 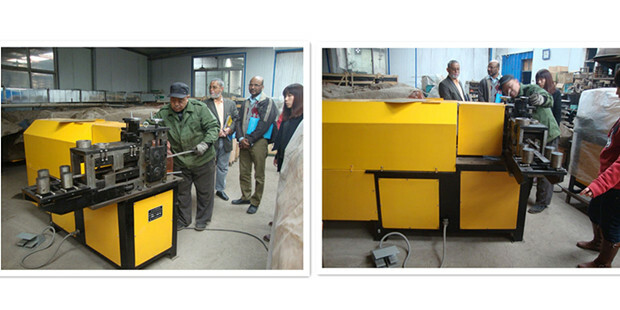 Our clients could learn how to operate wrought iron embossing machine for free in our factory. We offer OEM service and produce cold rolling embossing machines with clients’ logo and design. We promise one year warranty for metal craft embossing machines and offer excellent after-sales service. 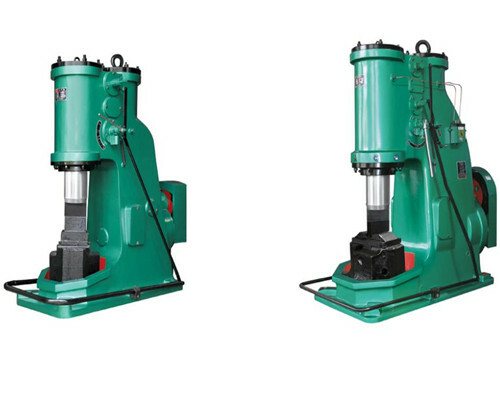 Our engineers would help maintain metal craft coining machines for free for foreign clients. 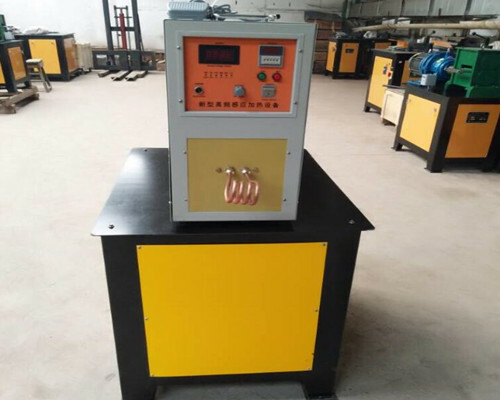 Anyone who is interested in our Ellsen wrought iron embossing machines is able to get a very quick reply when sending inquiry to us at any time. Plus, if you don’t know which metal craft embossing machine type is the best choice, please feel free to contact us, our professionals would recommend the most suitable wrought iron cold rolling embossing machine accroding to your requirements. No matter when you come to China and want to have a visit to our factory, we sincerely welcome you! 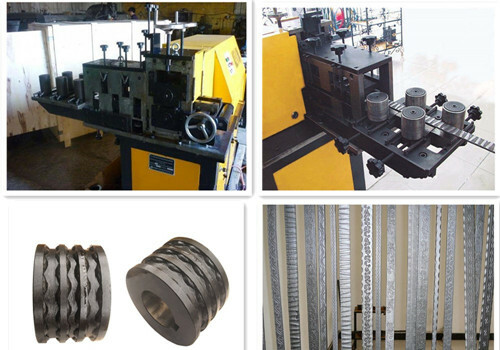 Please email us now, we will send you metal craft coining machine price list as soon as possible, for your reference.